Hi, my son is 9 years old and is autistic, he is very high functioning and a bit of a little professor, very smart. He has been, since he has been two, seeing something in his room he calls "the black pickle" he says it is oval in shape and usually hangs around towards the ceiling, it also makes a high pitched clicking heart sound. He told me he felt as if it was trying to pull him up a few times, and it freaked me out. He says he only sees it once in a while now and sees mostly a man around with grey hair (my father died in the house so it might be him he is seeing) and also has been seeing a small person that appears burnt. I have seen a glimpse of something dark near his room in the hall a few times and it creeped me out. He doesn't seem really scared about it, was always just curious as to what is was he saw. I'm glad he is not seeing it as much anymore..hoping it takes a hike! Hi, my son is 9 years old and is autistic, he is very high functioning and a bit of a little professor, very smart. So, kind of like a 'Young Sheldon'? Have you looked at the possibility of other medical problems/medications that may be causing hallucinations? As far as the burnt midget, I'd point to the possibility of an imp manifesting itself. I am so sorry I hadn't seen this post before today. 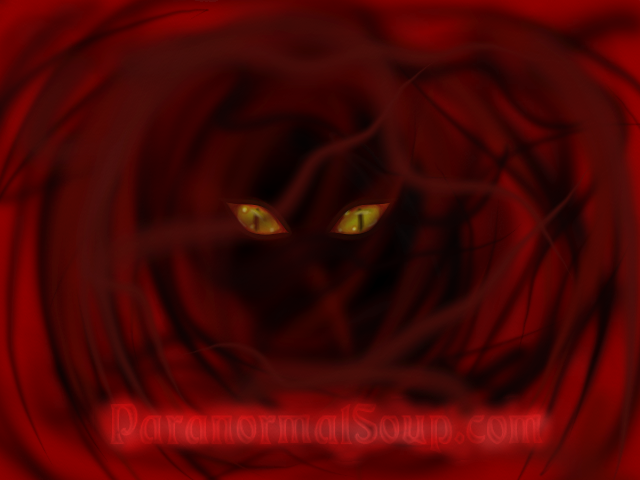 When I was a teen, we had a shadow ghost that would hang down in front of my bedroom door almost every night. And I suppose, they do look like black pickles, I've never thought about that till now. He'll be ok if he isn't being bothered by them, and if he is seeing less and less of them, he might grow out of it. There are plenty of kids who see ghosts and stuff, and when they start getting older, they seem to lose that ability. Yes, he seems to be seeing less of it thankfully but more of other people...but as long as he's not freaked out and they seem peaceful I'm ok with that! I have had several encounters with shadow people. I have never felt the least bit threatened by them. i get the sense they are observing. I see many posts that people think these shadow people are just "observing". Why? I don't understand that if Shadow people do exist and can be seen (somehow) by us then why would they just observe. With all the thousands of reports why would they just observe us after all them 1000's of years. I suppose it's like we are the rats in the maze and they are the scientists watching us. This idea gave me chills.... now I feel like I am being watched! I Have often asked my self that same question. The only answer I can come up with is that they are incapable, or perhaps unwilling to interact with us. I have often seen them at the same time as other spirits, or creatures who where more interactive. what that means if anything I couldn't say.